Sometimes it seems like Japan has a hamburger for everything. So it shouldn’t be that big of a surprise that there’s a Dragon Ball one. You notice that this “burger” doesn’t come with a beef patty, but rather, chicken. In Japanese, nearly anything served on buns is a “burger” (バーガー or baagaa). Sandwiches (サンド or sando) are typically serviced on sliced bread. 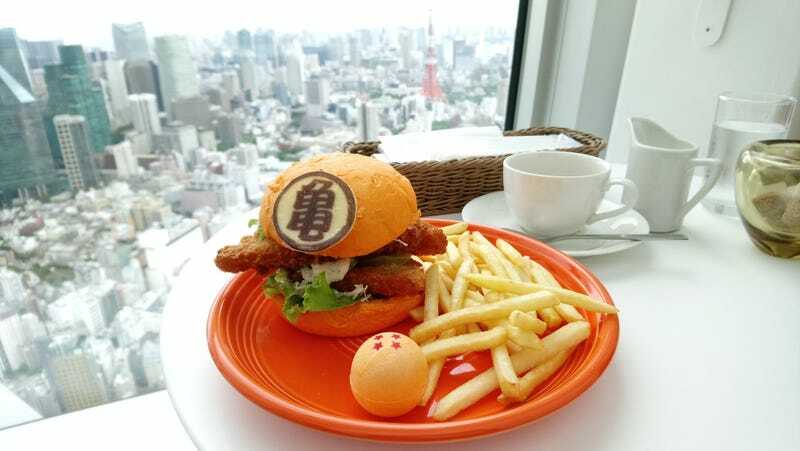 There have been several Dragon Ball burgers available this year, including at a Weekly Jump art exhibit this summer. As Redditor The_Good_Human points out, you can order a Dragon Ball Z burger at J-World in Tokyo.